Clean crabs, cut and crack claws. Fry rempah (spice paste) in a large wok till fragrant. Add lemon grass, crabs and stir fry for a short while. Mix well, crack in the eggs, mix in, and cook briefly. 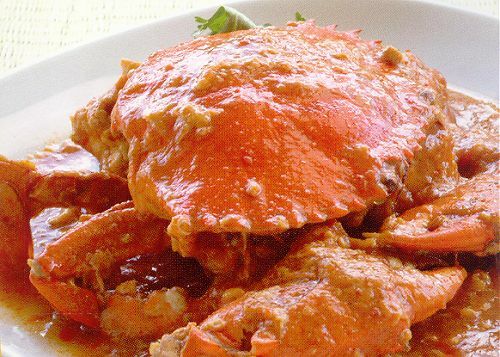 Traditional to serve the chili crab with white bread to soak up the sauce.